Leprechaun Traps Round Up - Crafty Mama in ME! 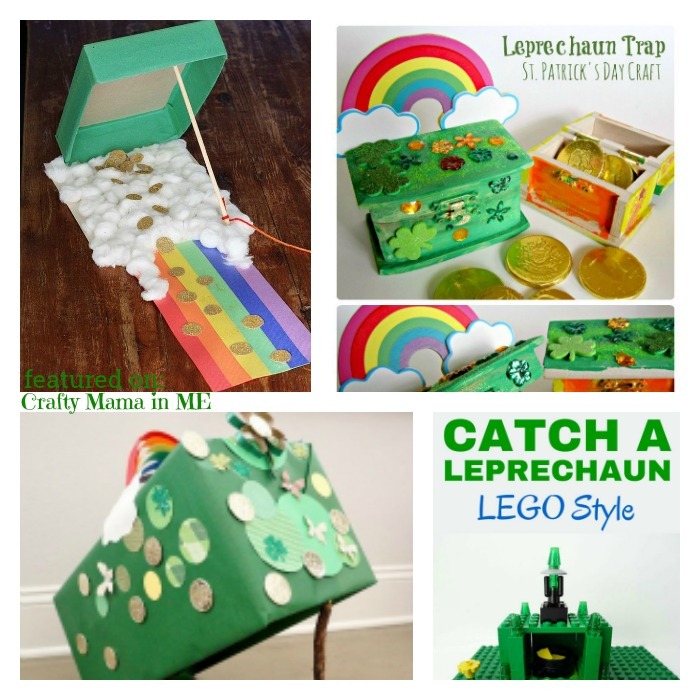 The idea of Leprechaun Traps was new to me, until a few years ago. We didn’t trap leprechauns when I was growing up we really didn’t do much more than just wear a green shirt and make a couple crafts. Maybe it was a thing but not in my ‘world’. Once I had kids and they started to get bigger I realized how fun it is to do extra special things for holidays. Since St. Patrick’s was typically a ‘boring holiday’ for me I went to Pinterest to find better ideas and new traditions that we could start. And there it was. The leprechaun traps. I had to do a little research as to what exactly this thing was but when I realized how fun it could be, we made one! It turned out so great and I even made a printable letter to go with it. When we were making ours we browsed and found things that we liked from others and compiled them all into one and this is what we came up with. 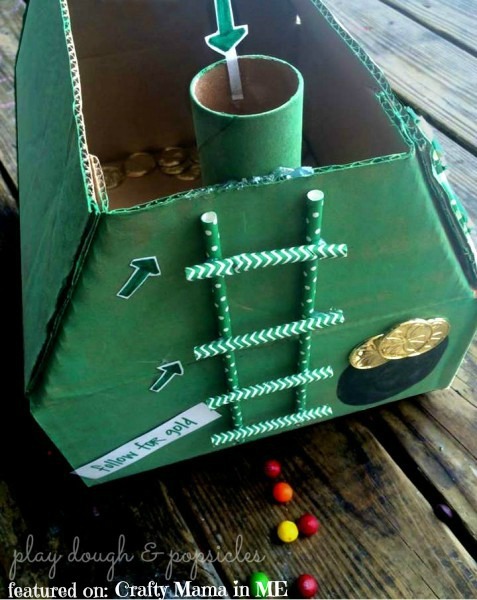 I thought it would be fun to share some of our favorites or ones that we got inspiration from so maybe you can make the perfect leprechaun trap for your house!